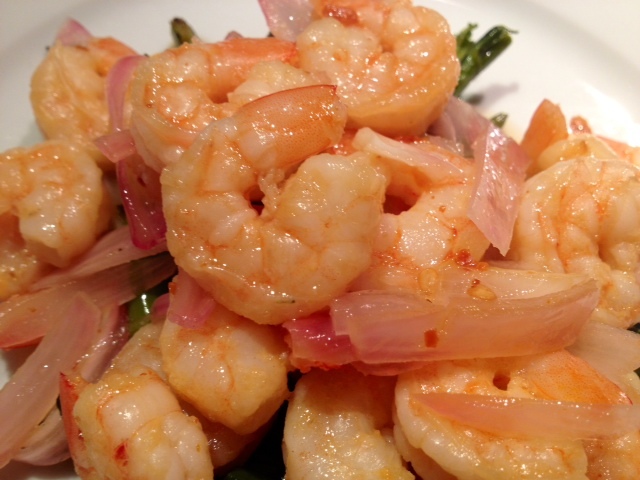 Hot & Sweet Honey-Lime Shrimp. This honey-lime shrimp is tangy, sweet and spicy. 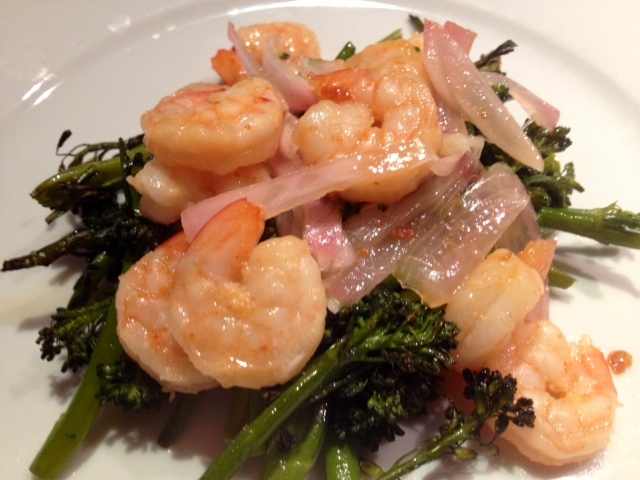 Not only does it taste great, but it only takes 15 minutes to cook and is light and healthy! 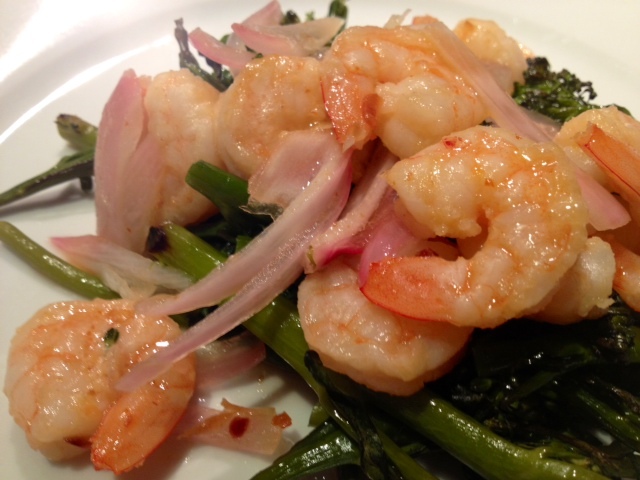 I served the shrimp over roasted broccolini, but you could pair it with brown rice, put it on a salad or just eat it on its own. 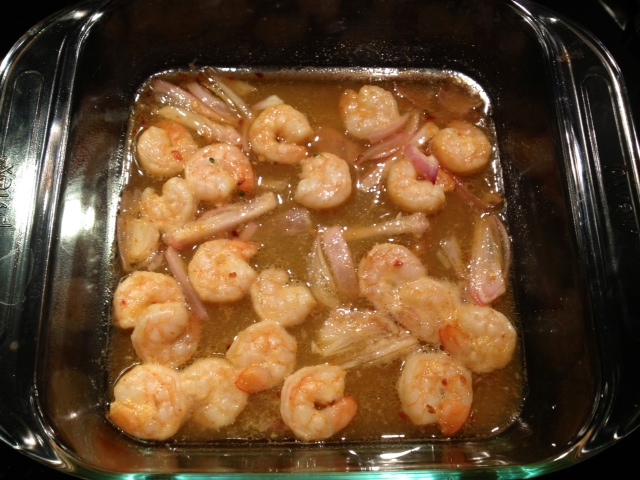 In a mixing bowl, add the honey, lime juice, olive oil and Sriracha sauce and whisk together. 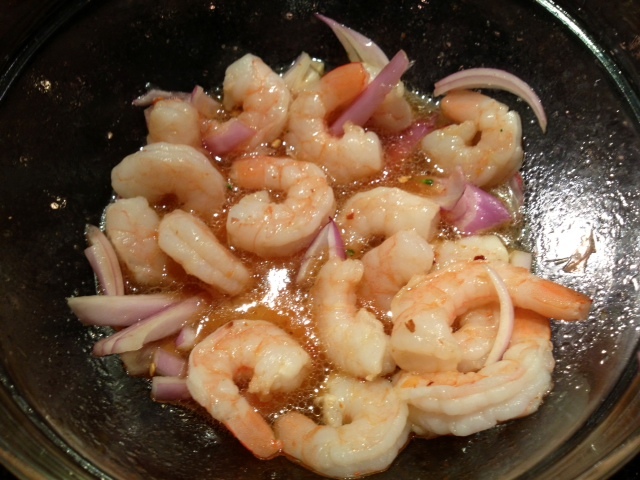 Add in the sliced shallots, shrimp and season with a dash of hot red pepper flakes and garlic salt. Mix well to combine and then put it in the refrigerator to marinate for 1-2 hours. 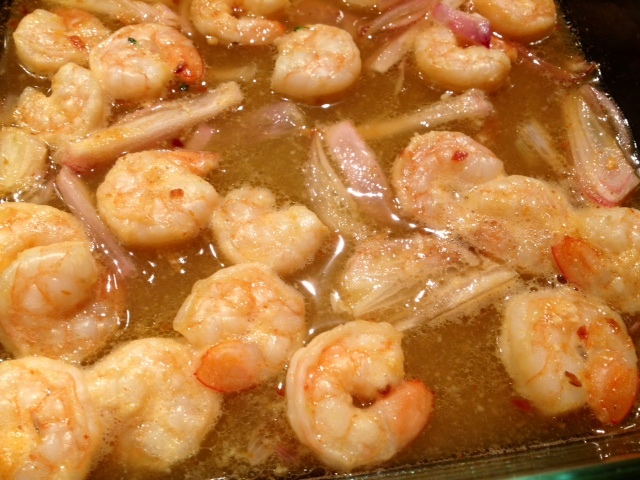 After the shrimp has marinated, put the contents of the bowl into an oven safe baking dish and cook in a 400 degree oven for 15 minutes.